There are only two ways of sailing: with a lot of time on hand, or without much time. It's a sad fact that most of bipeds belongto the second group and will have to sail with a dateline and be back in port at a certain hour or a certain day. Not many of us know that shortage of time at the end of a cruise is the first cause of accidents at sea. It is therefore essential, for the normal sailor, to make a good use of the time he has allotted and leave with as much information as possible. The more the captain and the crew know before the cruise, the better and safer the cruise will be. 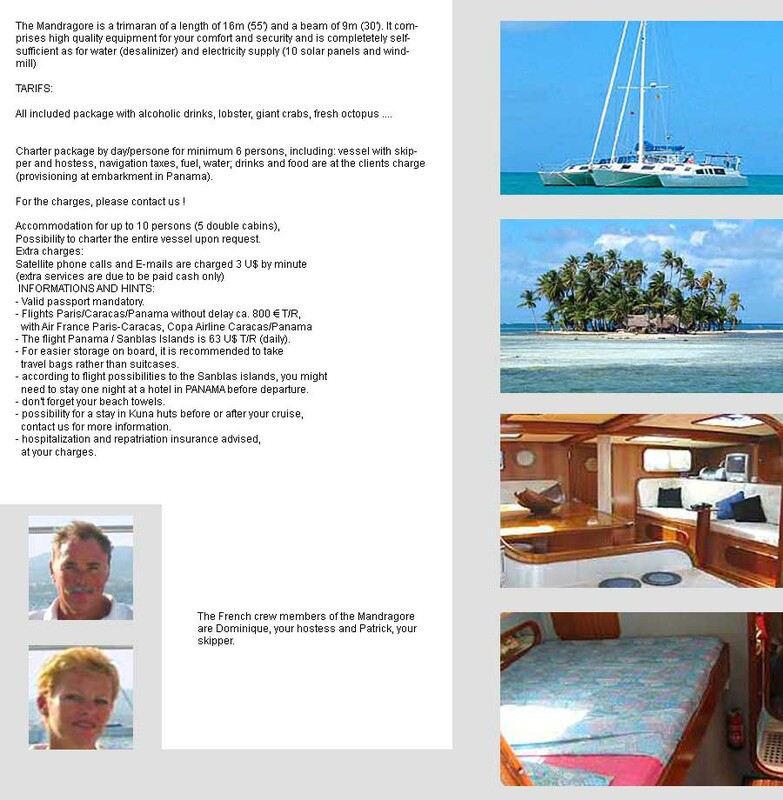 First, buy a cruising guide of that area. It's unlikely you'll have time to indulge in that beautiful activity that is anchorage search or cove exploration, let alone surveying properly. So spend some money and buy a book. If time is money, a pilot book and a chart are the best investment you can do, and is more or less equivalent to a couple of hours of boat rental fee... A couple of hours that you'll easily save is you know where to go beforehand! Never forget that Francis Chichester learned how to sail just reading books! You can order the most reliable Pilot Books at Imray. Connect to the Imray website for ordering. Our itineraries will be also of great help to prepare the general itinerary of your cruise. Once you have some paper to look upon, you can start to do some planning. Here follows a plan for a cruise 160- mile cruise around the Balearics, between East Mallorca and Menorca. It's rather obvious that if we want to leave from Porto Colom on October 31st, we'd meet a rather strong breeze but from a perfect direction for a dash north... We could make a good use of it and let go the anchor in one of the very pleasant coves by Cap del Freu. On the 1st we could do with a calm day to explore the beauty of Capo Formentor and Pollensa, then cross to Ibiza on the 2nd, again with a very favourable 20 kn breeze. 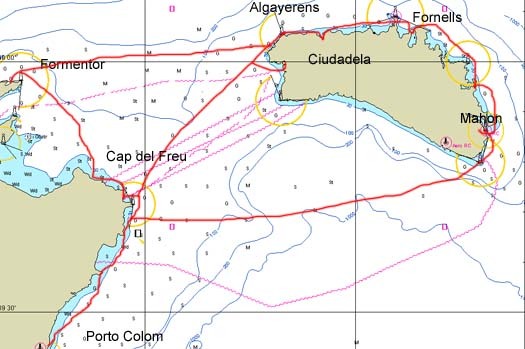 The weather will be appropriately calm with thermal breezes for the following 3 days, perfect to explore the N coast of Minorca, before going back to Colom when the weather is good. Everything will be very different if we have a standard charter boat and we must leave on a Saturday, therefore the 1st. In this case a choice is needed: either we make a good use of the S wind to cross to Ciudadela, or we follow the first plan but keep in mind that the crossing will be done with Diesel wind conditions... In any case it's clear from this simple example that proper cruise planning saves precious time and allows a safer cruise! Do not hesitate to contact us for advice about you cruise! We cannot agree with Conrad that vessels are rarely to blame for incidents, but itdoes not mean we have to overlook its care and maintenance, or fail to grasp its basic systems and characteristics. All research seems to indicate that engine failure is responsible for a significant proportion of incidents. The RNLI knows this from its records, and the MCA similarly is aware of the issues. Running out of fuel is also a common cause of service and fits neatly with engine maintenance as a simple safety message. If you have an engine in your craft then we would strongly recommend that you know the basics of starting, running and maintaining it. Appropriate spares should be carried on board and fuel should be calculated on approximately 1/3 for the outward trip, 1/3 for the return and 1/3 as spare. Do not reply on fuel gauges as these have been know to be faulty. Where possible, an alternative means of propulsion should be carried. Engine failure alone is not a distress situation: it does not warrant a Mayday call or the use of flares unless lack of power has put the boat and crew in grave and imminent danger. the usual legal stuff (fireworks, liferafts and lifejackets). Remember that one never goes down into a liferaft, but only climbs in. prepare watches, the crew and a basic diet. The importance of the anchors and the anchoring tecqniques cannot be overstressed. We have 3 anchors aboard, Faith, Hope and Charity. Always verify you have a second anchor aboard, with a complete rode for it. Also check the second anchor can be easily shackeld to the main anchor rode. This weighs down the main chain and dramatically improves the holding power. Remember that the anchor is not a magnet and one has to let go AT LEAST 3 times the bottom. Chose the anchorage according to the weather that is coming. SET THE ANCHOR WELL. Always have a safe anchorage in mind. Remember that sudden squalls with winds of 40 or 50 knots are common in the Mediterranean summer thunderstorms.